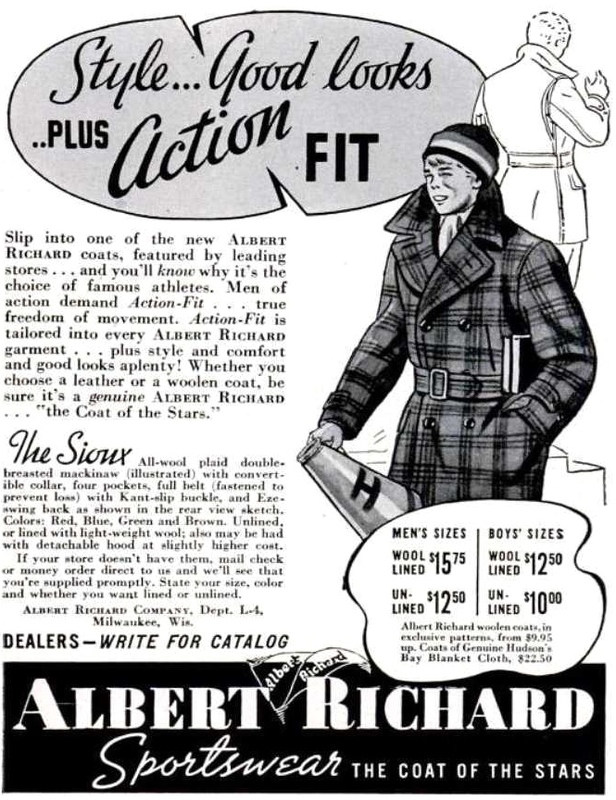 My previous post on the history of Albert Richard focused mainly on their production of leather jackets. They were also well known for their production of mackinaw coats and of sheeplined coats. 1937. 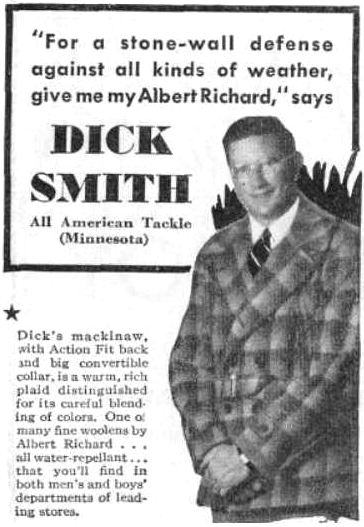 While the standard wool mackinaw made by Albert Richard cost $12.50, upgrading to the English-made, Canadian sold Hudson's Bay Point Blanket fabric raised the price to $22.50. 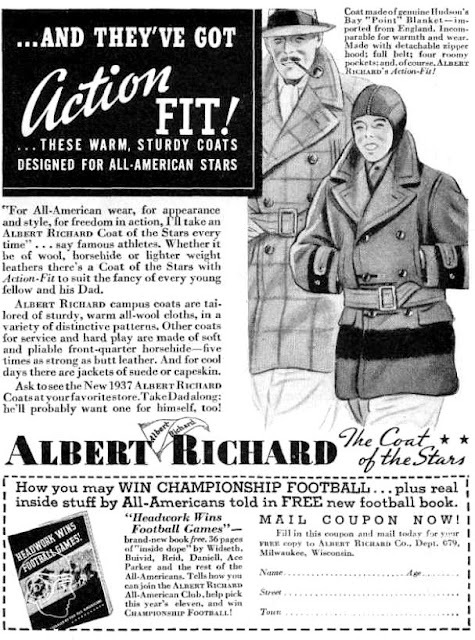 The ads pushed their mackinaw coats as being "All American", despite the fabric and design, which are iconic Canadianana. 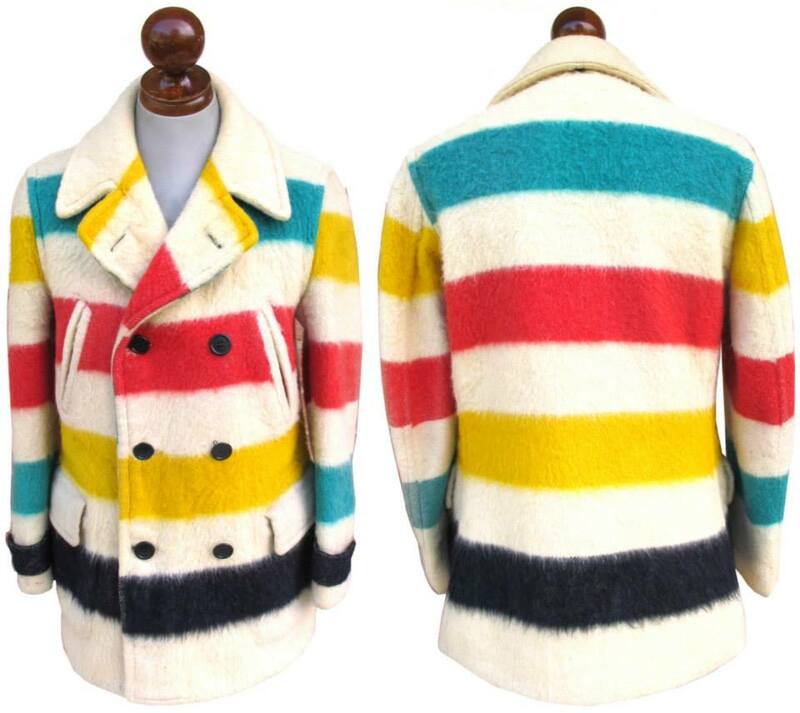 Here is an example of a c. 1936/37 Albert Richard mackinaw in the multi-stripe Hudson's Bay Point Blanket material. It would have originally come with a belt, as pictured in the advertisements, but as is often the case with belted jackets, it went missing long ago. 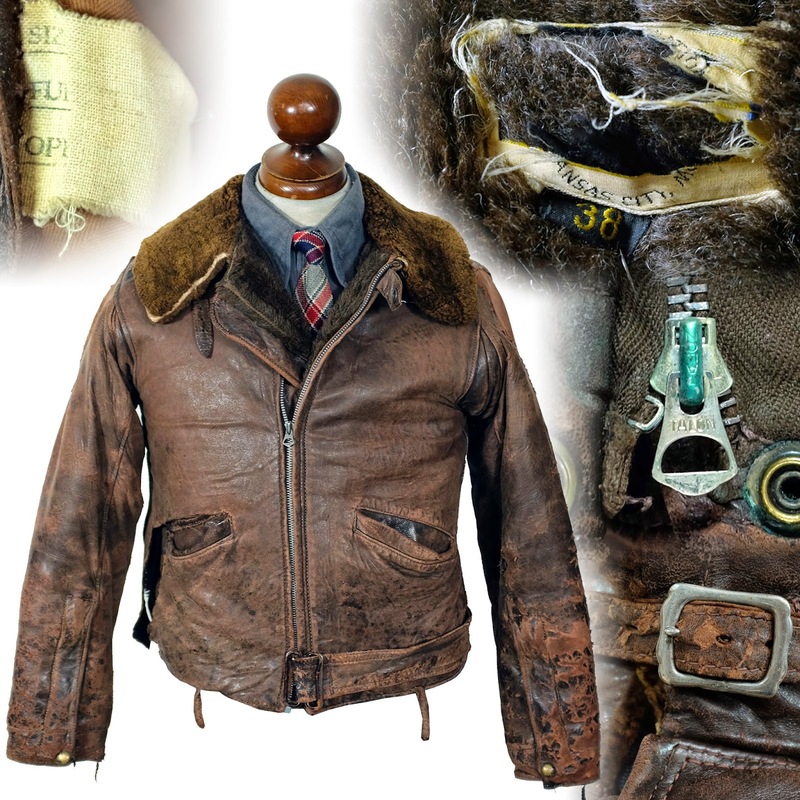 The coat is unlined, and has the pattern on the sleeves oriented 180 degrees from the pattern of the body.